Tim gave the closing keynote at ForgeRock's Identity Live summit in Dusseldorf. In this age of exponential technologies, even things as fundamental-seeming as our selves are no longer as straightforward as they used to be. Our presence is now spread across an increasing number of platforms, accounts, and devices, and this proliferation of identities is poised to increase exponentially. So what does “identity” mean in this time of augmentation and avatars? Are we only the sums of our digital footprints? How do we relate to ourselves at the dawn of the Fourth Industrial Revolution and how may this be affected by physical versus virtual space? 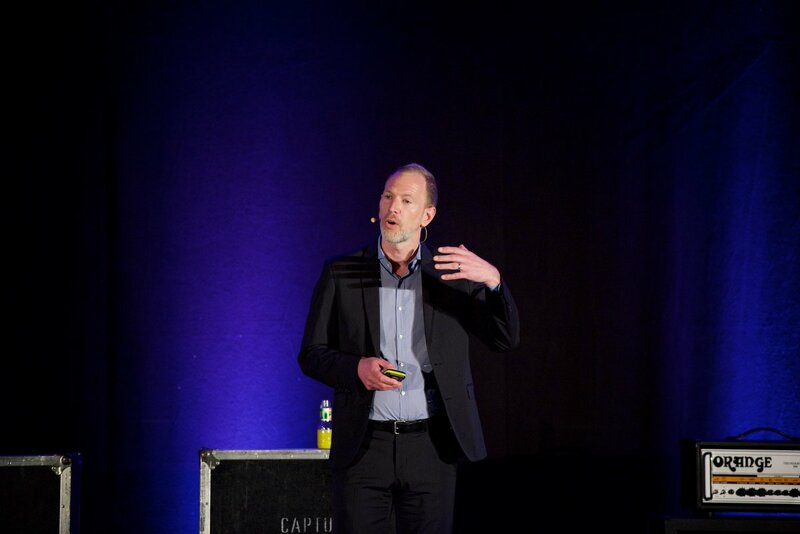 As the closing keynote speaker at the Identity Live summit in Düsseldorf, Tim and explored the meaning of the self in an era of disparate identities, the responsibilities of industry, and the elements of our selves that are worth protecting. The event was part of an international series hosted by the customer identity and access management firm ForgeRock. The identity management partner of corporations like Toyota, Vodafone, and Thomson Reuters, ForgeRock is an industry leader. Their series Identity Live brings together analysts, visionaries, and identity professionals to explore topics like ensuring privacy, securing the Internet of Things, and building the trust required for valuable customer relationships.